The winners of several accolades and awards including “The Times Nightlife – Best Beverages, 2015 & 2018“, “Coca-Cola Golden Spoon Awards 2018“, “IMAGES, Most Admired Startup of the Year“, Best Shakes Parlour Award at “Indian Restaurant Awards 2018”, “Best Business Growth in F&B”, “Best Beverages Swiggy Award 2018“, “Franchisor of the Year Award, Franchise India 2016“, and many more. 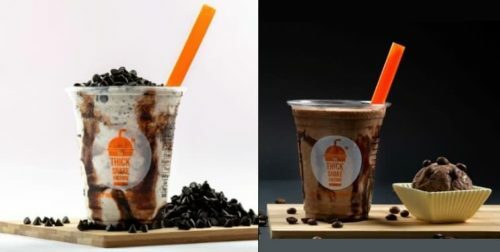 The ThickShake Factory, India’s first premium thick shake brand brings the concept of running a cold dessert beverage quick service business (QSB) for the first time in the country. The ThickShake factory recently completed a century of being operational with more than 100 outlets in India. The brand is further planning to expand its footprints in Telangana, Tamil Nadu, Andhra Pradesh, Karnataka, Gujarat, Maharashtra and many more in the coming few months. The ThickShake Factory offers the tastiest and thickest ice-cream based shakes and serves over 50 types of shakes with more than 40 topping/mix-ins. It is famous for their ‘Shape your Shake’ feature where customers can choose what they want from the variety of toppings. The brand brings the best flavors in the form of not just ThickShakes, but a complete range of cold coffee varieties, slushes, chocolate & fruit flavor drinks. The ThickShake Factory has had an excellent journey and has only moved forward since the opening of its first outlet in 2013 with winning “Franchisor of the Year” award twice, one in 2016 and the other in 2018 along with many other awards. With being awarded for the second time it has marked as an achievement for The ThickShake Factory to be the fastest growing vibrant hashery in the industry. The company has the vision to have 1000+ outlets Pan-India, along with a strong global presence and has created more than 300 jobs so far, mostly at the bottom of the pyramid and the lesser privileged sections of the society. Recognized as one of the fastest growing QSR chains in India, the company’s current business model is such that the outlets which are currently operational, most of them are franchise-operated and some are company operated. The founders, M. Yeshwanth Nag and Ashwin Mocherla, were inspired by the global trend of growing appetite for sweet savories and therefore brought the most appealing range of tastiest ‘Thick’ Shakes to India. The brand never ceases to impress with their heavenly ‘ThickShakes’ through its wide range of offerings. The brand is open for collaborations and queries can either be mailed at franchise@thethickshakefactory.com or log on to thethickshakefactory.com. The ThickShake Factory is India’s 1st Premium Thick Shake Brand founded in 2013. It has steadily grown to more than 100 stores by November 2018 and is projected to be 200 by end of 2019. In terms of revenues, TTSF has been growing 200% year-on-year. The ThickShake Factory is currently present in over 20 cities across India including one in California, USA. TTSF offers not just 50+ types of ‘Thick Shakes’ but a complete range of cold coffee varieties, slushes, chocolate & fruit flavour drinks too.